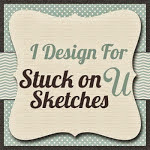 I'm so happy today to be able to share my first post as a Design Team member for Stuck on You Sketches Die Cut Team! Our assignment was to use some kind of "sun". I am still using an "old-fashioned" cricut (I feel like all my friends have a cameo!) so I busted out my Artiste cartridge and double layered a sunshine. Though my pictures were small, I wanted to use them because they capture Lu in her natural habitat...upside down! I layered my suns and put this diecut from MME in the middle. All my papers were MME too. I also inked and wrinkled the edges of the sun to give it some dimension. 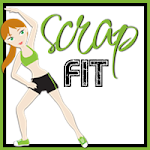 If you head over to SOUS, you can see what the rest of the design team did...it will definitely inspire you to link up a sunshine diecut project!!! Thanks so much for stopping by today, and have a wonderful weekend! Hi Sheila! Welcome to the Die Cut Team! You're not alone with the Cricut :). I have an old school Silhouette but still lean more towards the Cricut. Your layout is beautiful! The blues and yellows are so pretty and I like the sprinkle of gems. This is beautiful!! LOVING the colors and the sun! This is a beautiful layout Shelia! I love your son and I love the sequins on your layout! Don't worry I still us the Cricut too even though everyone else has a Cameo. lol I'm wanting one too, but that will be down the road I'm afraid. 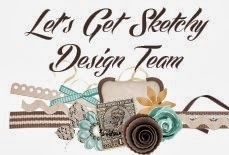 Looking forward to being design team sisters! Hugs! I love the textures in this layout. Great job! This is so cute Sheila!! Love the MME and the layered sun looks awesome! Oh Sheila! I love your layotu so much! That sun is astounding and so cool!!!!! Such a gorgeous page with so many wonderful details, my friend! Beautiful layout, Sheila!!! Love the layered sun and the sequins!! Hugs! !